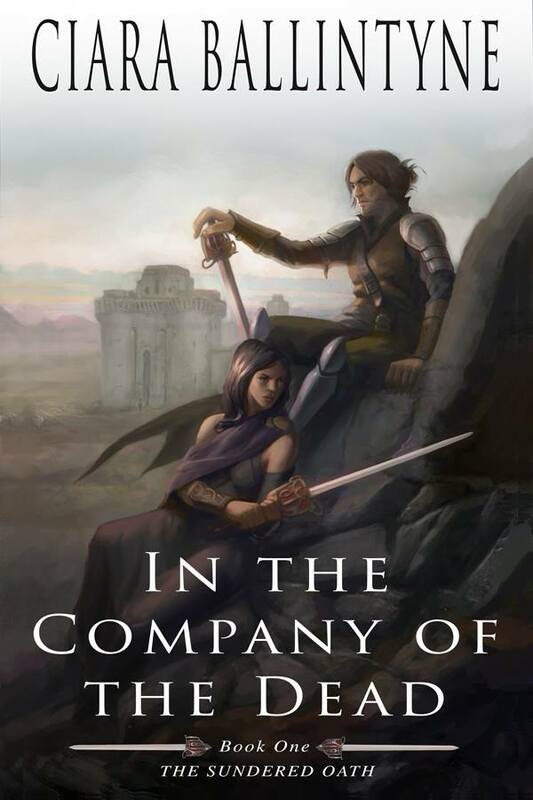 At long last, it’s release day for IN THE COMPANY OF THE DEAD!! This is a dark and beautiful epic fantasy by Ciara Ballintyne with deeply layered characters you cannot tear your gaze from. Ellaeva, the Left Hand of Death, has to be one of my new favorite protagonists. This story has everything: magic, love, revenge, schemes, mystery, gods and necromancers. The novel was published by Evolved Publishing, has been featured on the front page of iBooks Canada, and reached the top 100 Sci-Fi and Fantasy list for iBooks Australia. “Fascinating characters with complex emotions and interactions. Full of intrigue, gruesome battles, and magic, with an undercurrent of passion and rage. A thrilling introduction to this epic fantasy series!” –– PJ Lea, Goodreads reviewer. “Ciara Ballintyne writes adventerous tales that revel in their sense of sheer fun, and IN THE COMPANY OF THE DEAD takes that to a proper battlefield-sized fantasy. Between the gallant but disgraced general and the priestess of Death And Justice, the tale gives us rampaging undead, the schemes of vast nations and small-minded men, holy powers, true love denied, and the clash of armies. All the good stuff.” Ken Hughes, Goodreads reviewer. Cover Art by Sam Keiser. Barnes and Noble — Coming soon…. Thank you for everything you have done for this book!